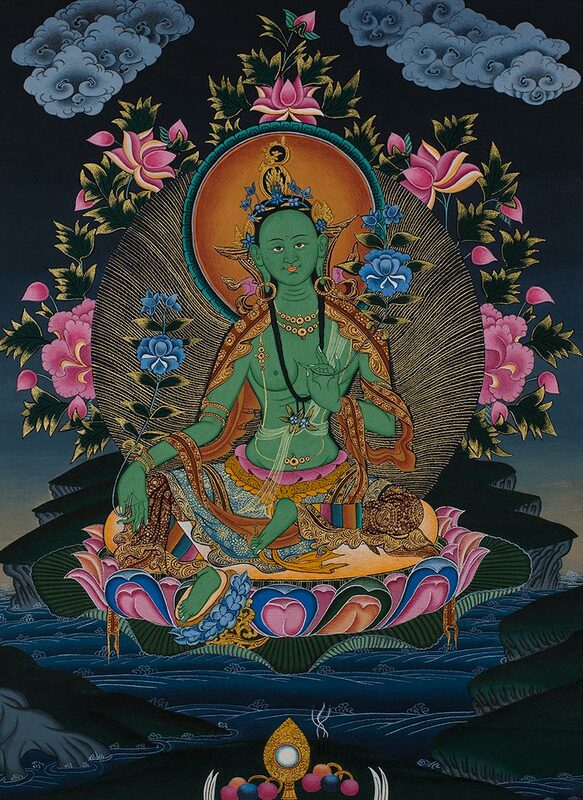 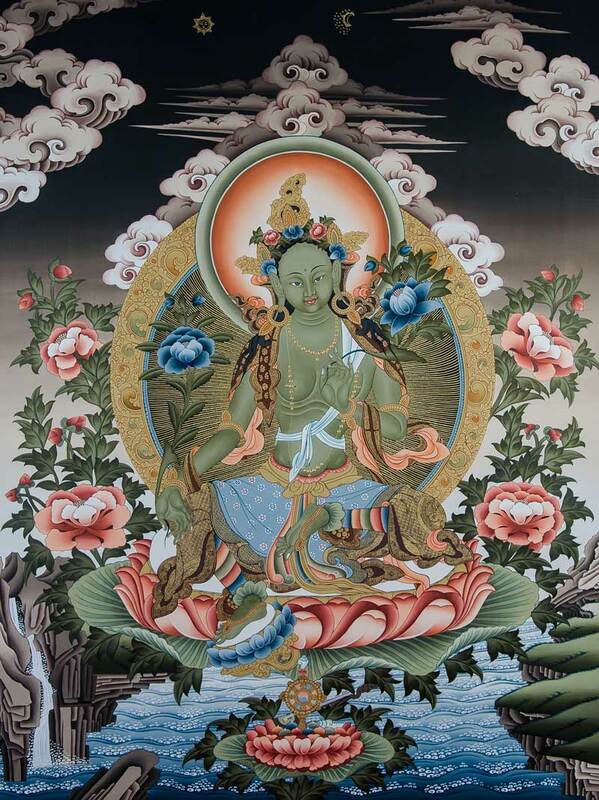 The Green Tara is the most popular form of the Taras, also known as Arya Tara or Vasya Tara. 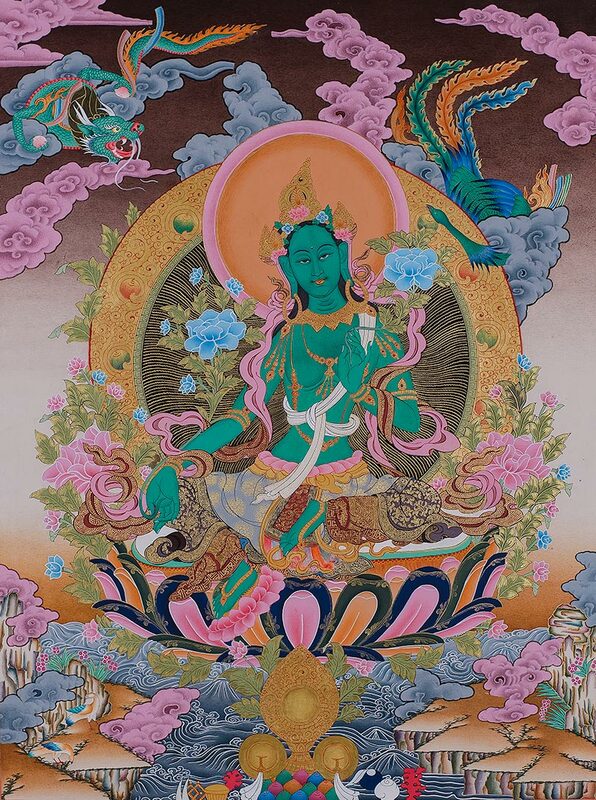 She is the consort of Amogasiddhi - one of the dhyani buddhas that represents action - and is considered to take up to 10 different forms ! 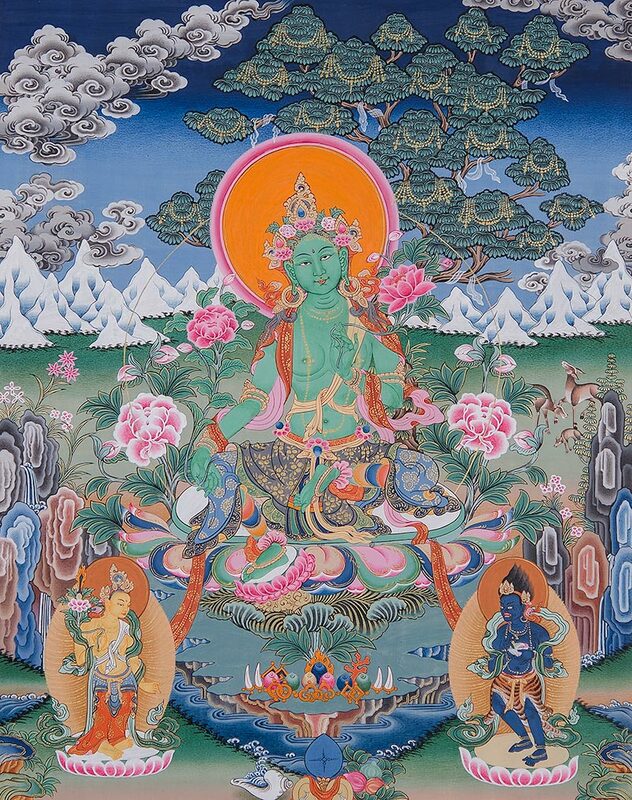 It is essential to understand that Taras are themselves a separate class of deity, which will be discussed in more depth on our blog. 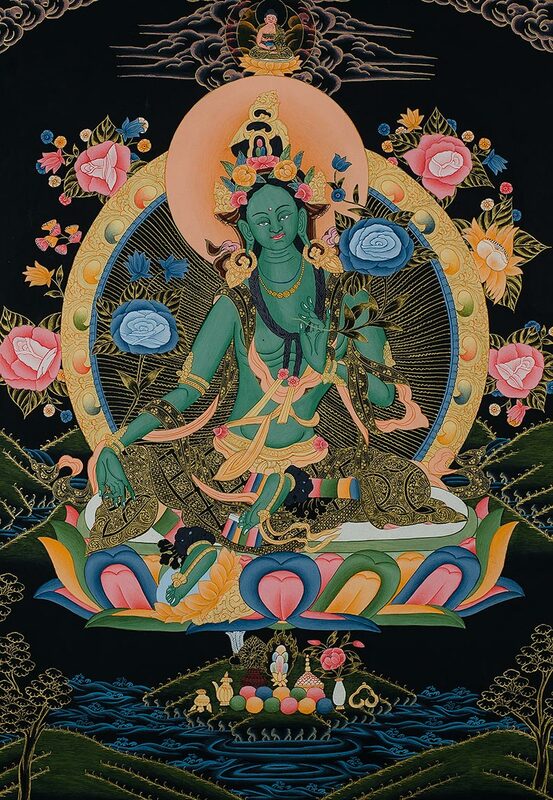 One of the easiest ways of recognizing the Green Tara by her colour - which represents the active Enlightenment of Feminine Compassion and indicates that the Tara is always willing and ready to help the needy that pray to her. 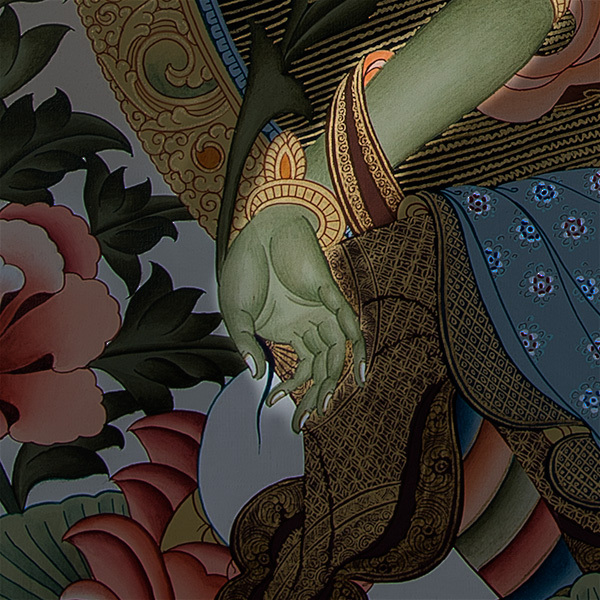 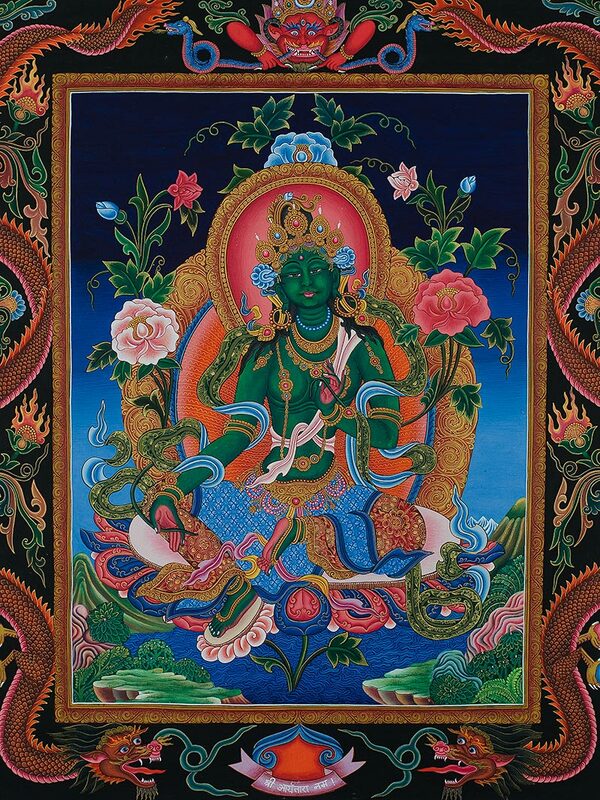 Every aspect of the Green Tara is carefully painted to represent her various qualities and gifts. 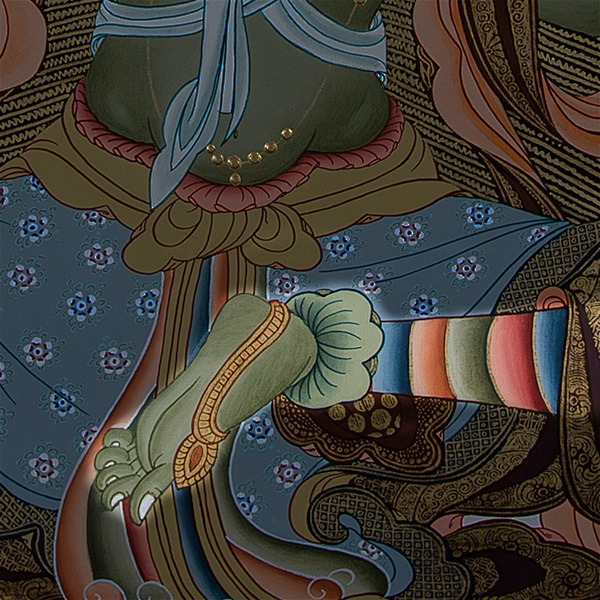 Left HandHer thumb and index together representing the union of wisdom and energy. 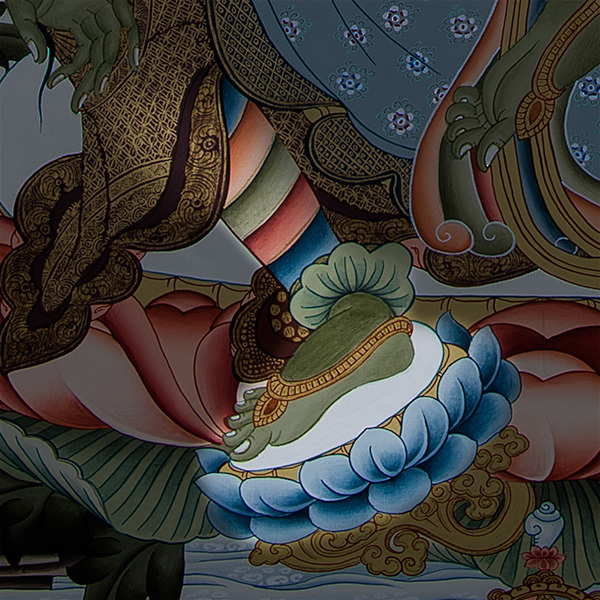 Whilst the three other fingers represent the three Joys. 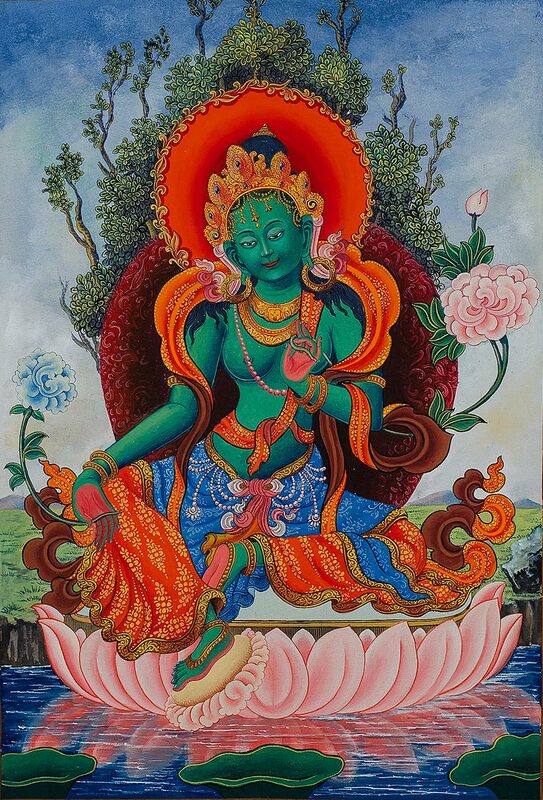 She holds a lotus that symbolizes that all the qualities of Realization that are present within her. 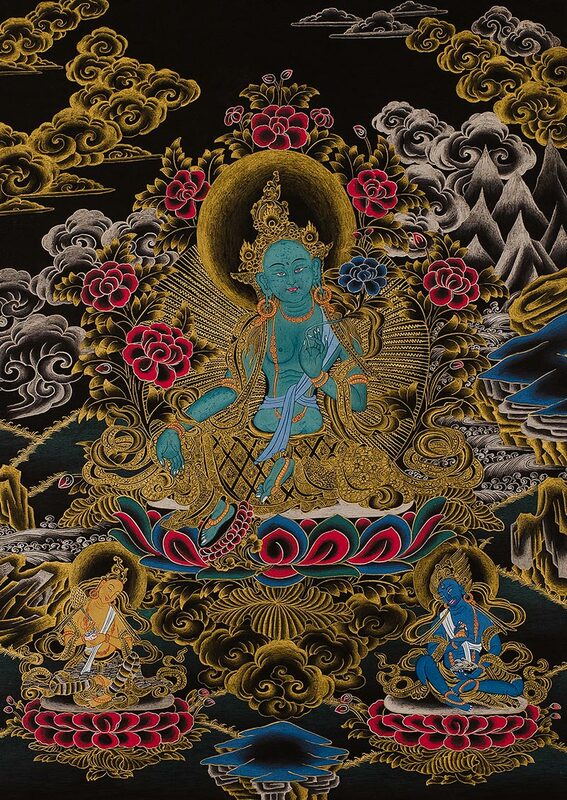 The lotus is an attribute that is often found on deities that transcend compassion, a quality that is essential to accepting the Buddhist philosophy.